Stock Up! 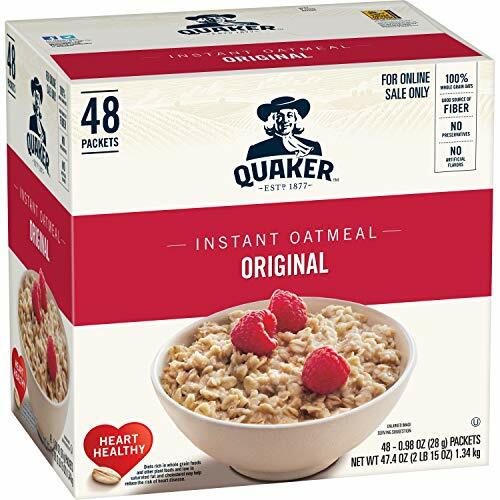 Online Stockpile Deal on Quaker Instant Oatmeal Packs! FREE Shipping! Clip the extra 20% off Digital Coupon before you check out! Heart Healthy Whole Grains - Quaker Oats are 100% Whole Grains. Diets rich in whole grain foods and other plant foods and low in saturated fat & cholesterol may help reduce the risk of heart disease. Non-GMO Project Verified - Verified by a third-party that this product contains only non-GMO ingredients. Look for specially marked packages with the Non-GMO Project Verification symbol.